We know. 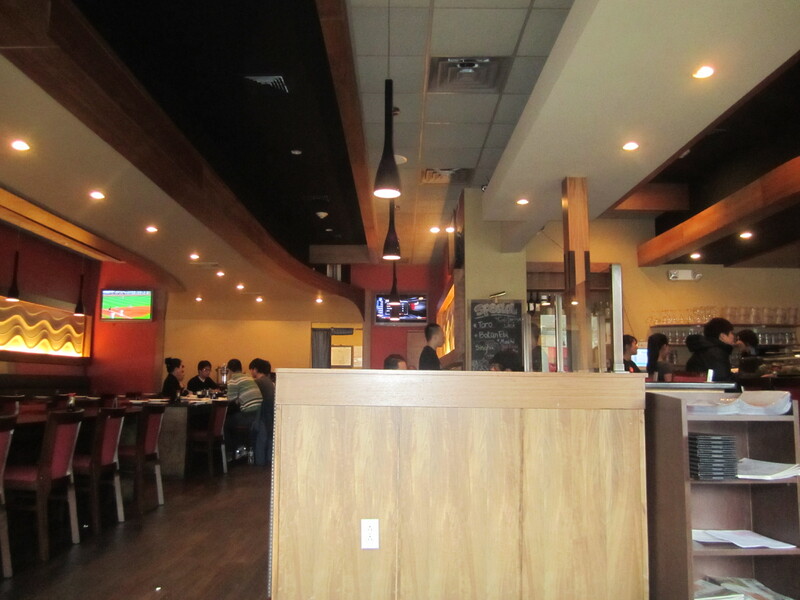 Another trip to Bonchon (BMH’s first trip and review on Bonchon). YES, another trip because it is that GOOD. The chicken strips are pounded pieces of chicken breast double fried to a crisp. We definitely overdid it on the ordering, X-Large Chicken Strips…and X-Large Wings! You can tell how enthused I am about my Korean Fried Chicken. 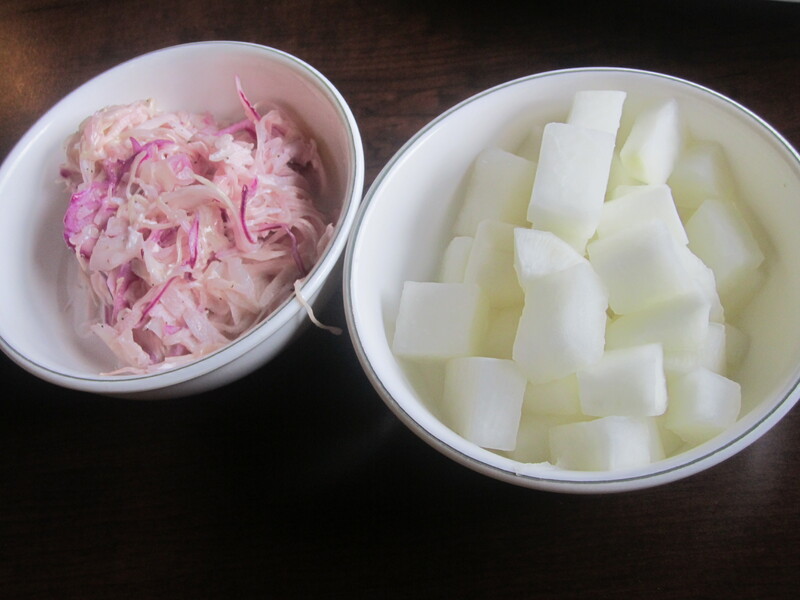 While eating the spicier chicken pieces, I had the coleslaw (the BEST coleslaw I have ever eaten) to cut the spice with the right creaminess. The daikon cubes also had a great cooling feature. Strips vs Wings. 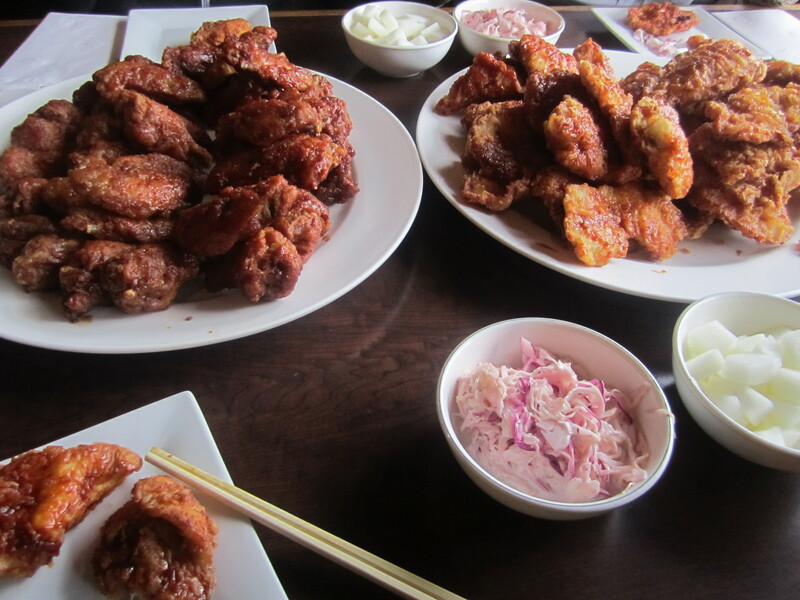 Hands down the wings were moist, juicy, crispy and a pleasure to eat. 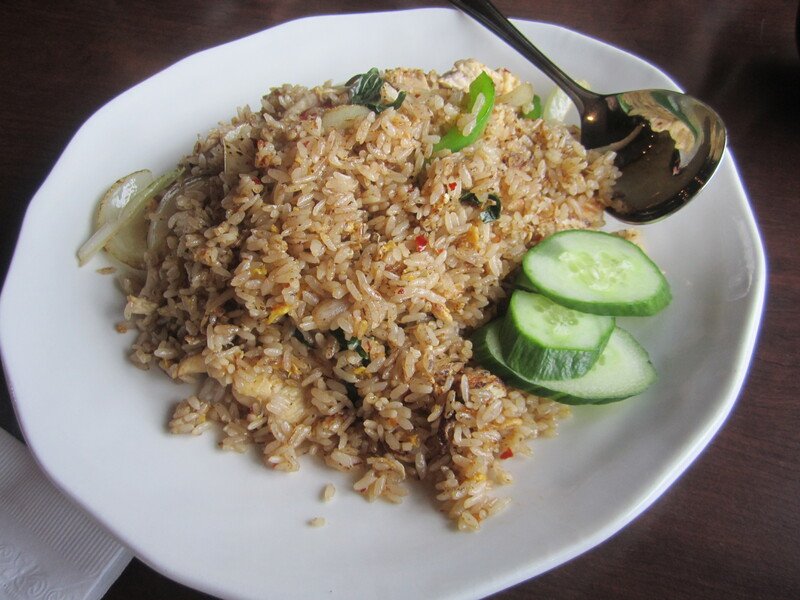 With the overload of leftovers, it was a great test to see what tasted better hours later or the next day. Both were still mouthwatering hours later. The strips were delicious the evening after and surprisingly still crispy which was a major bonus. There were jokes we would make little chicken sandwiches of the strips. After researching online, I have found the recipe I plan on trying when I venture to fry in the apartment. 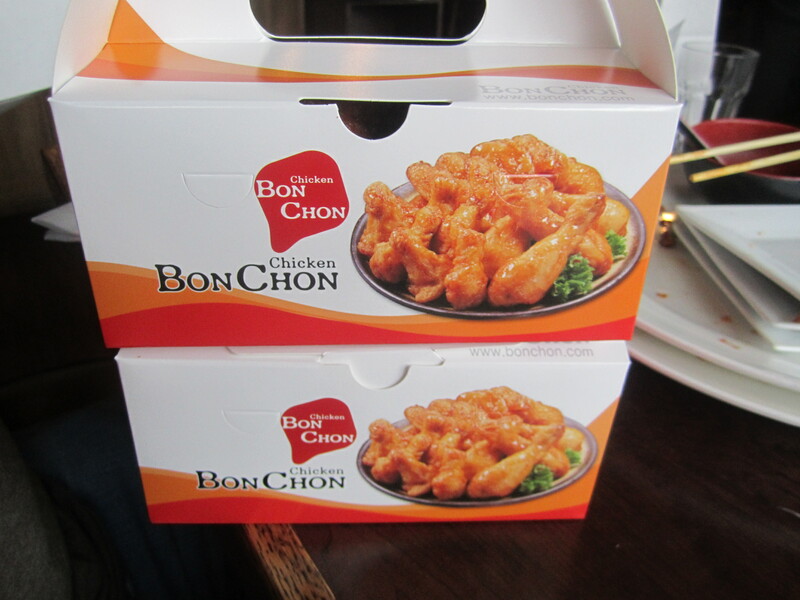 Until then, expect more shameless visits to Bonchon. 1. Pour oil into a 6-qt. pot to a depth of 2″. Heat over medium-high heat until a thermometer reads 350˚. Chop garlic and ginger in a food processor. Add soy, gojujang, vinegar, sesame oil, and honey; purée. Put sauce into a bowl. 2. Whisk flour, cornstarch, and 2⁄3 cup water in another bowl. Add chicken; toss. 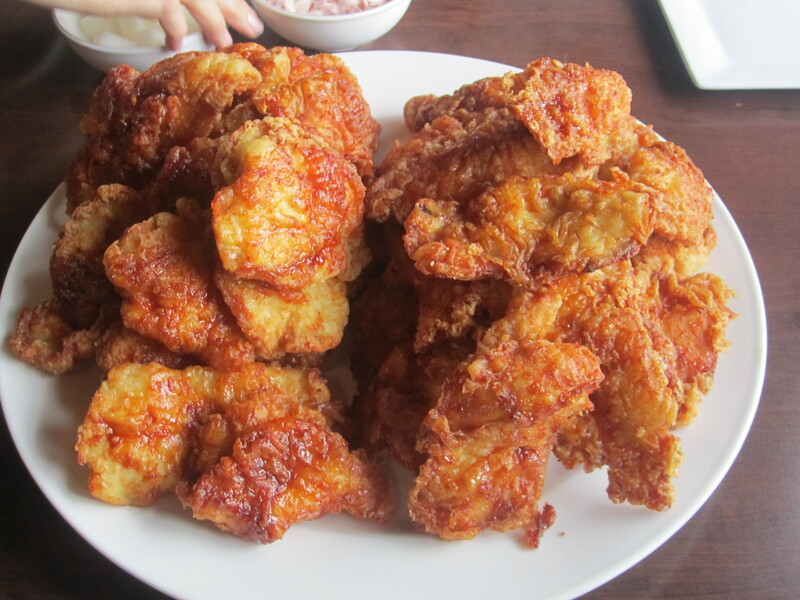 Working in 3 batches, fry chicken until golden, 6–8 minutes. Drain on paper towels. Return oil to 350˚. 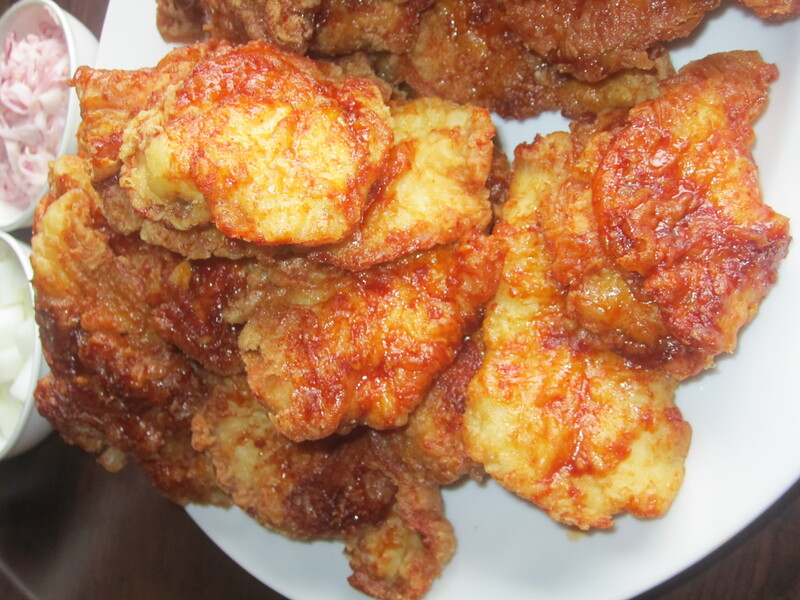 Fry chicken until crisp, 6–8 minutes more. Drain again. Toss chicken in sauce.